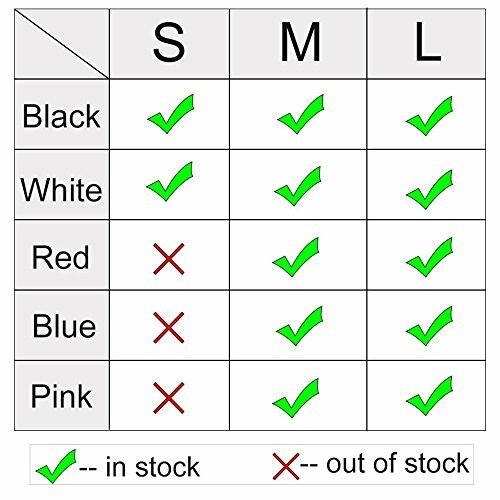 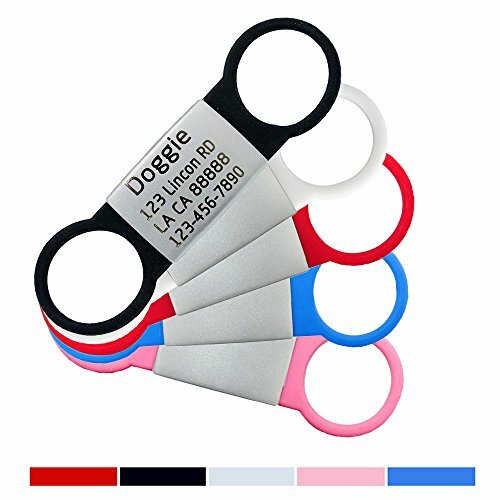 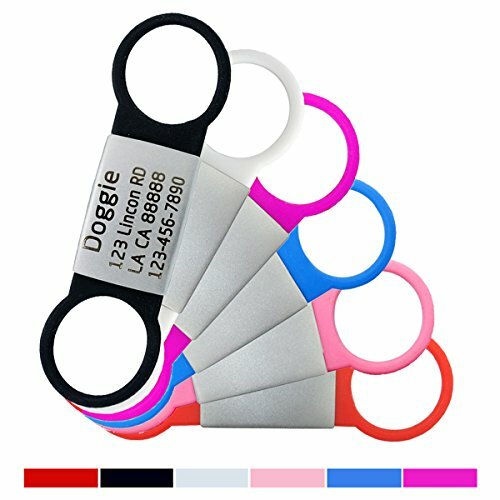 Stainless sheet for tags information,soft & durable rubber for collars on;Rubber color : Black,White,Pink,Blue,Red Choose a proper,before you place orders,you should find your dog's collar width. 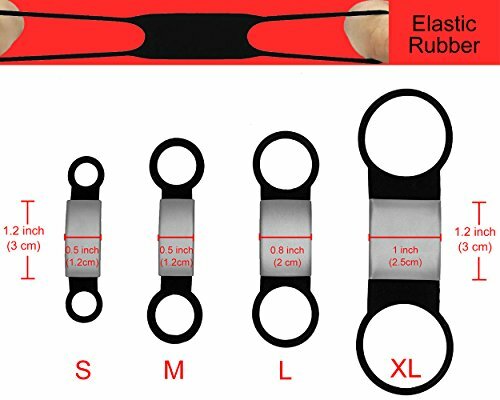 size: Small size 3/8"(1.0cm) collar wide; Medium size 5/8"(1.5cm) collar wide. 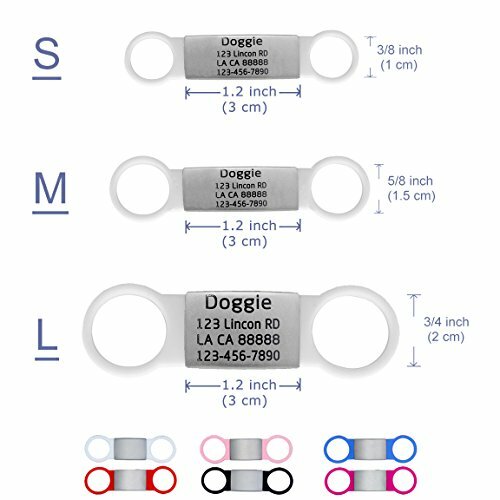 ;Large size 3/4"(2.0cm) collar wide Nice printing.All letters are as clear as pics.Select the color and size you want first and leave your information from line 1 to line 4 No slide on collar dog tags,the rubber is very sturdy,it is very easy to make it on your dog collars Silent dog tags,no noise for dog wearing. 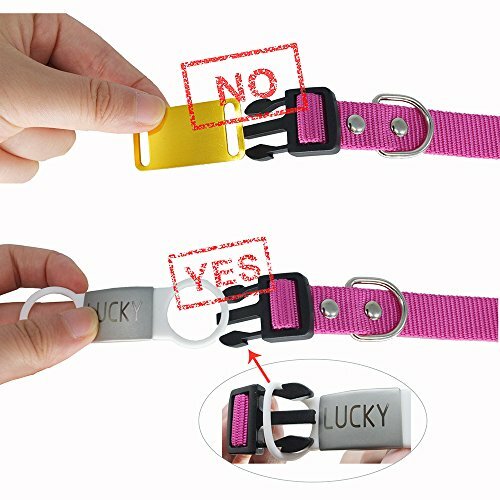 Besides,it is a good choice for sensitive skin dogs.